Serve up your craft beers on tap or offer guests a glass with their bottled beer with this 12 oz. mug. It's perfectly portioned for 12 oz. bottle pours, making it a great way to offer an attractive alternative to drinking straight from the bottle. The bottom half of the mug features a paneled design, while the top half is perfectly smooth for optimal drinking comfort. 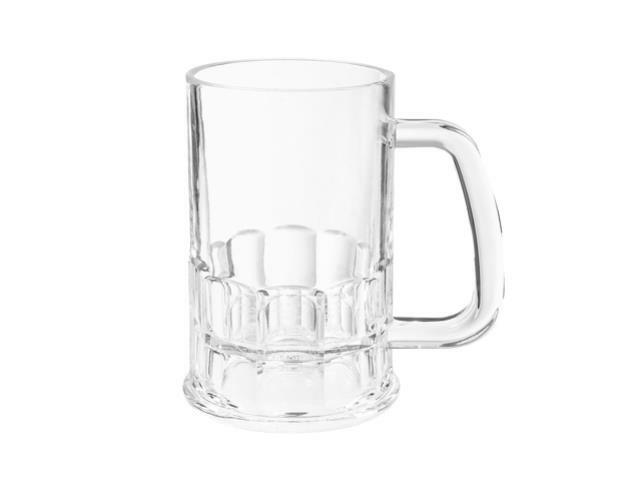 In addition to beer, this mug is also great for soda, lemonade, and more, making it a versatile addition to any event! * Please call us for any questions on our mug 12 oz. 5309 rentals in Mishawaka, serving South Bend, Elkhart, Niles MI and surrounding communities in Northern Indiana and Southwest Michigan.